Vienna Airport set three new records in 2016. In addition to its busiest ever day (16 September 2016) and the best month ever (July 2016), Vienna Airport surpassed the threshold of 23 million passengers in 2016 for the first time in its history; handling 23.4 million passengers. Thanks to the numerous destinations it serves in its region, the airport is also the leading flight hub in Central and Eastern Europe. Following on from the airport’s success, Member of the Management Board of Flughafen Wien AG, Julian Jäger, reveals the airport’s plans for future development. Higher passenger volumes, especially from low-cost carriers such as Eurowings and easyJet, led to a record year at Vienna Airport. The month of December 2016 was particularly strong, showing a 9.8% rise in the number of passengers. Long-haul flight service also developed well. The year 2017 will be very challenging, above all due to the restructuring of the airberlin Group. Nevertheless, we expect an increase of up to 2% in the total number of passengers handled by Vienna Airport – this is partly due to the growth impetus provided by Eurowings, Austrian Airlines and easyJet. 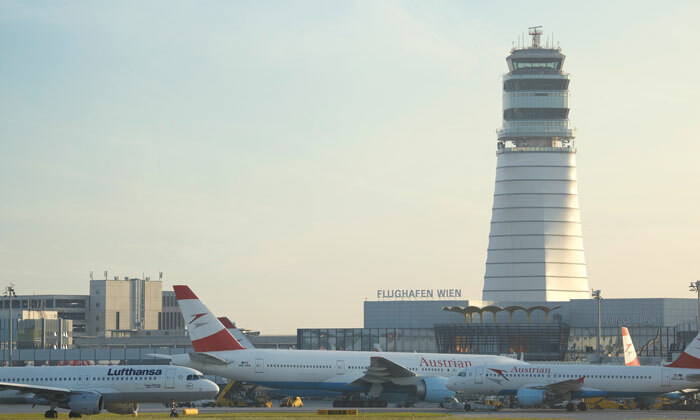 Vienna Airport reported a total of 23,352,016 passengers in the year 2016; an increase of 2.5% from the number of travellers it handled in the previous year. 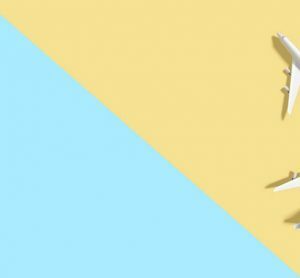 In particular, new long-haul routes, new flight connections and frequency increases on the part of the airlines, particularly in the low-cost segment, had a positive impact on passenger volume. In contrast, the crisis situations in Russia, Turkey and parts of North Africa negatively affected airport operations. In terms of traffic development, local flight traffic was the key growth driver in 2016, rising by 4.3%, whereas the number of transfer passengers fell by 2%. The number of flight movements (starts and landings) remained stable for the most part, dropping marginally by 0.2%, and capacity utilisation of the aircraft (seat load factor) fell slightly by 0.8% to 73.4%. Cargo volume (air cargo and trucking) developed positively during the course of the year, rising by 3.7% to 282,726 tonnes. China Airlines will deploy a new Airbus A350-900XWB aircraft on its three weekly flights between Vienna and Taipei. Thus China Airlines is the first airline to offer scheduled flight service to Vienna Airport on an Airbus A350. easyJet inaugurated a new flight service connecting Vienna Airport and Lyon. The British airline is offering three weekly flights to the French city, increasing the total of European cities it serves from Vienna to nine. Aeroflot, meanwhile, is providing a fourth daily route between Vienna and the Russian capital of Moscow. Thanks to this increase, the Russian airline will offer 28 weekly flights on the Vienna-Moscow Sheremetyevo route. With this additional route, the number of weekly flight connections from Vienna to Russia has risen to 69, showing that the travel destination of Russia is recovering. The increased frequencies send a strong signal for continued growth. The ‘Best Airport Staff in Europe 2016’ award is the fifth service accolade Vienna Airport has been granted with over the past 12 months. As well as the above award, Skytrax also awarded Vienna with a ‘4 Star Airport’ ranking. The Austrian Association in Support of the Blind and Visually Impaired honoured the high level of commitment of the airport with respect to barrier-free access by bestowing the ‘Beryll Award’, while the Airports Council International (ACI) also awarded Vienna for its ‘Airport Service Quality’. Vienna Airport’s concept for future terminal development was recently presented with a focus on ensuring greater comfort for passengers, an additional shopping and food and beverage offering and the creation of a security area spanning different terminals. 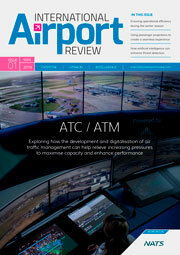 Simultaneously, the profitability and earning power of the airport will be increased. For this purpose, the old sections of the terminal, namely the East Pier and Terminal 2, will be modernised and expanded to include new functions, such as centralised security checks for all gate areas, as well as 10,000m² of additional shopping and gastronomy space, entailing a 50% expansion of the offering. A new building at the southern side of Terminal 3 will be constructed to serve as an improved connection between the terminals, as well as to create new shopping, catering and waiting areas. The project will be gradually implemented until the year 2023. The planning process is now beginning after a development phase of close to two years. Passengers will soon be able to enjoy the outstanding food of celebrity chef Jamie Oliver, who will be opening three of his international successful restaurants at Vienna Airport. A corresponding agreement has been signed between Flughafen Wien AG and SSP – The Food Travel Experts, which serves as the investor and operator of the three businesses. The culinary offerings will be available in the future at ‘Jamie’s Deli’, ‘Jamie’s Italian’ and a free-standing bar covering an area of more than 800m² located on Level 1 of Terminal 3. The opening of the first Jamie Oliver restaurant at Vienna Airport is scheduled to take place in May 2017. In addition to the famous ‘super food’, the focal point of this to-go concept is on take-away Italian dishes, while Jamie’s Italian is planned to be opened in December 2017. The free-standing bar will be put into operation by the middle of 2018, offering travellers exclusive cocktails and snacks. As a result, Vienna Airport is the first site in Austria to host the internationally well-known restaurants of Jamie Oliver; providing passengers with a new and particularly high-value gastronomical experience. A 400-room Moxy Hotel, the first in Austria, which features the Marriott lifestyle brand, is scheduled to open its doors for guests in March 2017. 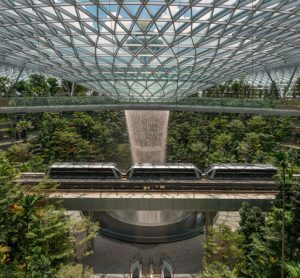 The central location, directly behind the Office Park, makes it possible to conveniently reach airport terminals by using the passenger tunnel. In addition, customers can use Office Park 3, which is located in close proximity. Seven floors with a total area of about 14,000m² will be built on the property covering 6,300m², including a Moxy food and beverage area, fitness room and two meeting rooms. The surrounding premises of the airport provide sufficient parking spaces. The development of the airport from a property location to a multi-functional Airport City is an integral part of the airport’s strategy. Vienna Airport offers ideal conditions for business location projects, boasting commercial properties of over 140,000m², office park facilities encompassing about 110,000m² of office and conferencing space in the future (including Office Park 4), various shopping facilities, local amenities and services such as supermarkets, a pharmacy, a health club, a postal partner office open 24 hours a day and much more, along with optimal transport connections. More information on office space and company premises at the airport site is available to prospective clients at www.airport-city.at. Interest in the airport as a business location continues to grow. Twelve companies with around 600 employees have set up operations on the airport site during the last 12 months and the Airport City is now operating at near full capacity with demand for additional space. Planning work on the new Office Park 4 is commencing following project approval by the Supervisory Board. The building will be located on the west side of the tower on the entrance road to the airport area and will enable more than 20,000m² of additional office and event space. Office Park 4 will be put into operation no later than the beginning of 2020. A particular asset of the premises is the best available telecommunications and IT connectivity. Vienna Airport is making another key investment to expand its Airport City, starting construction work on enlarging its Air Cargo Center and adding one-third more space (15,000m²). The project will be implemented at a cost of about €16 million and should be operational by the end of 2017. As part of the sustainability strategy of Flughafen Wien AG, the roof of the Air Cargo Center will be equipped with one of Austria’s largest photovoltaic facilities to generate electricity. At the present time, photovoltaic systems with an area of about 5,000m² are already installed on the rooftops of other airport buildings. The new rooftop photovoltaic plant is designed to double existing capacity. In the summer of 2016, two photovoltaic systems with approx. 2,000 solar modules were installed on the roof of a hangar as well as on the roof of an equipment hall. Construction of another photovoltaic facility is an integral part of the sustainability strategy of Flughafen Wien AG, and will involve investment of around €1 million. 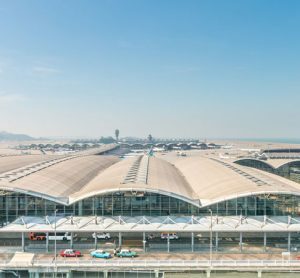 The Vienna Airport site expects an increase in the total number of passengers in the range of 0-2% in 2017. From today’s perspective, initial impetus to growth is expected to be provided by the launch of flight service to Los Angeles (US), Mahé (SC), Burgas (BG) and Gothenburg (SE) by Austrian Airlines, flights offered to 19 destinations by Eurowings as well as expanded frequencies and new routes on the part of Volotea, Flybe/Stobart Air, Germania, S7 Airlines and SunExpress. JULIAN JÄGER has been a Member of the Management Board of Flughafen Wien AG (Vienna Airport) since 2011. Prior to this he was CEO and Executive Director of Malta International Airport, having previously been Chief Commercial Officer and Executive Director. 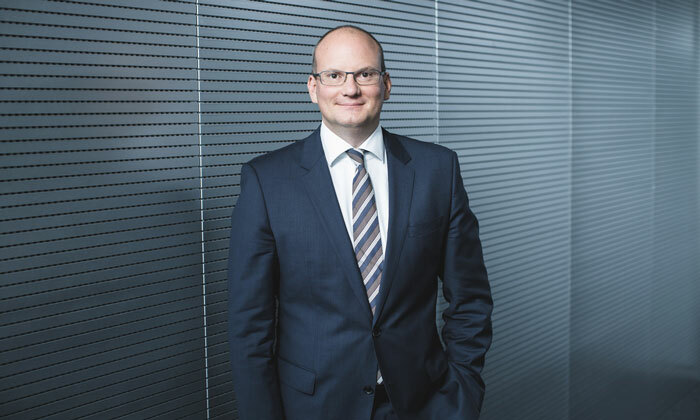 From 2004-2006 Julian was Head of the Business Development Department for the Airline and Terminal Services Segment at Flughafen Wien AG following a three year stint within the airport’s legal department.